The common flower colour is Pink, but the common name Pinks, refers to the ragged petal edges, which appear as if cut with pinking shears. Flowers occur in late Spring. 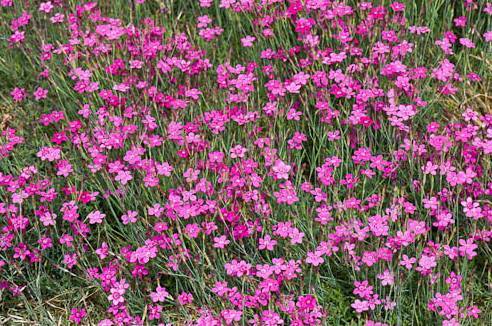 Plant in a bright, open position in moist, well drained soil. Most appreciate a little lime and need regular feeding. Growing Environment Direct into garden bed.